To order, please use our order email, which lists all currently available products and prices within the email body. If that doesn’t work, you can copy the price list below and paste it into your email . We do ship — smaller orders via USPS and larger orders via UPS. Smaller orders (under 25 lbs per product type) will be filled with the monthly pickup. Please email us if you would like to place an order via mail. A medium USPS box ($14.35) can hold up to either 5 two pound bags or 1 five pound & 1 two pound bag. A large USPS box ($19.95) can hold 2 five pound bags or 1 five pound bag & up to 3 two pound bags or up to 7 two pound bags. Penn’s Corner Farm Stand carries all of Weatherbury’s products. You can order on-line and then pick up from one of their many pickup locations the next week. The East End Coop carries some Weatherbury products in their bulk bins and some products in two pound bags. available due to crop failure in 2018. 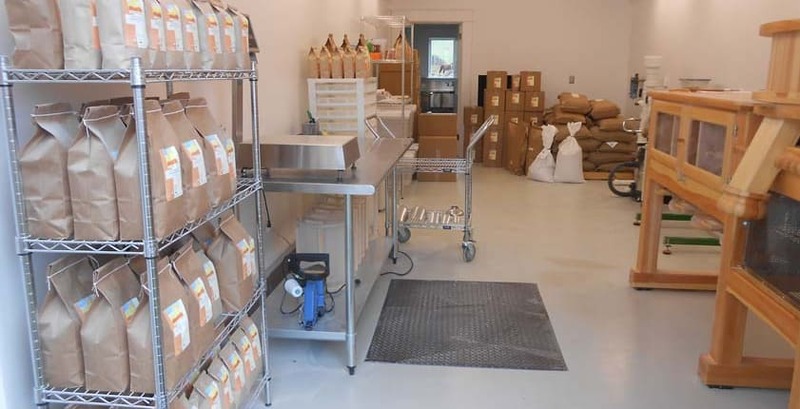 Descriptions of our flours and milled products are available on the product description page.